The AVA Foundation is an international non-profit educational organisation, set up by a Norwegian born brother and sister of Punjabi and Pashtun ancestry, actor Adil Khan and musician/filmmkaer Deeyah Khan. 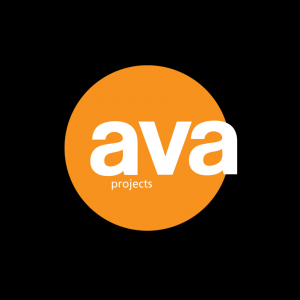 AVA provides arts education, mentorship and outlets for self-expression for marginalised children and young people, focusing on the Middle East, the Indian subcontinent and its diaspora communities in the UK, Europe and the US. When the voice of a human being is silenced, essential information is stolen and lost to the world that needs it. We rarely feel this, but it may be why things don’t work. We have silenced the person who knew what to do. Our inability to listen robs us of strength and genius. That person may have seemed unlikely, but because we prejudge who is likely, we lose the actual messenger. That messenger was likely a woman, a youth, a gay person. AVA means to find these people, the people who will give to the world its missing pieces, by listening to and broadcasting these missing voices. Without free expression, there is no possibility of democracy or authentic political activity. Creativity in every sphere is thwarted. Relationships become untrustworthy and it is difficult to even know oneself. There is no call and no response. The premise of The AVA Foundation and the activities of AVA proceed from the conviction that each human voice has a right to be heard and that by listening to each other, people will be able to right themselves from the distortion that enforced silence has wrecked on our minds, bodies and souls. That having released that suffering, our intelligence can be shared, appreciated and given a place from which to contribute to the world.